02/04/2019 - BANANE METALIK TAKES THE STAGE BACK! The first Banane Metalik's show will take place at the Spring Break Fest the 12th of april. The band will present a new set "full of unseens"! Gore'N'roll hasta la muerte! Banane Metalik soon on the road!! 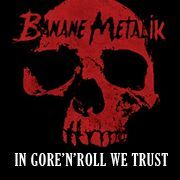 10/10/2016 - BANANE METALIK / GORE’N’ROLL FLASH !! 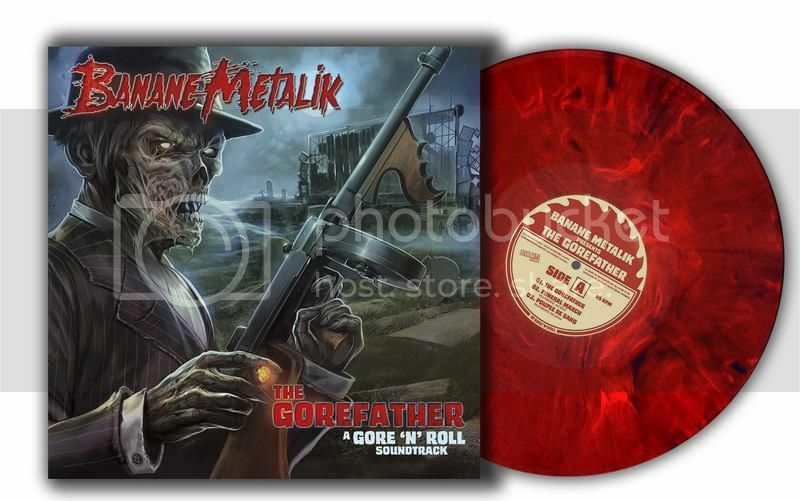 The new red marbled VINYL edition of THE GOREFATHER is back in stock! Click on the pictures for the web shop! FOR THE FIRST TIME EVER ON VINYL, discover one of the first musical fragments of Banane Metalik's history ! 12 remastered tracks with 2 unreleased bonus songs !